1.This full set LCD & touch screen digitizer glass assembly is compatible For iPhone 7 plus(5.5inch). 2. Replacement part for your cracked or broken screen . 3. All items have checked before shipped out and 100% working. 5. Please note：Please reinstall the screen and double check the display and touch cable if the screen not working after you install. 6. Instructions are NOT provided. Best place to find step by step videos is on YouTube or follow product images. Warning: Please power off your phone before you start installation, incorrect installation will damage your phone. Only for iphone7 plus(5.5 inch),100% new, tested before shipment, quality guaranteed. 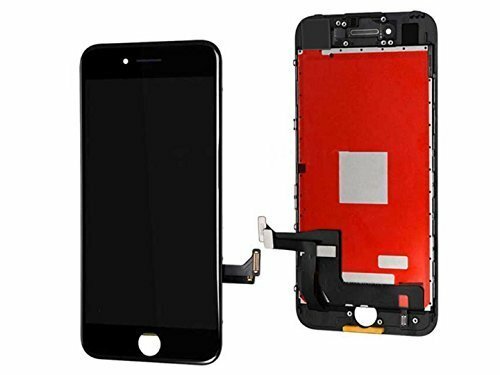 Replacement Digitizer and Touch Screen LCD Assembly for iPhone 7P 5.5"
Instructions are NOT provided. Best place to find step by step videos is on YouTube. If you have any questions about this product by CLWHJ, contact us by completing and submitting the form below. If you are looking for a specif part number, please include it with your message.